We at Samuel Whitbread are trying to improve our students’ literacy by targeting their reading, writing and spelling across every subject. Every student will be learning reading strategies, writing techniques, as well as subject-specific terminology and advanced vocabulary to ensure the best possible chance of success in their GCSEs. When we write we have to consider a number of aspects and make certain decisions. We need to know what the purpose of our writing is and for whom we are writing. We need to think about the content and what form our writing will take, for example, is it a science report, a history essay, a letter to a parent, or an email? We then need to think about the structure appropriate to the purpose and form of our writing, in addition to the use of sentences, paragraphs and punctuation. And finally, we think about how to spell the words we write. Children can find writing a real challenge; especially if they do not read at home for pleasure. They need encouragement, support and praise for their efforts. You can best support them by encouraging them to read and write on every possible occasion, praising their efforts and, importantly, by letting them see you reading and writing whenever possible. You can play word games with them (e.g. ‘Words with Friends’, Scrabble), you can discuss interesting or new words which you have read and you can compose emails/letters together. Why not have a family book club? 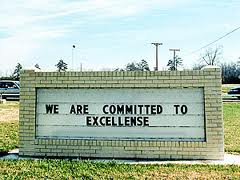 Most adults, even if we consider ourselves to be good spellers, make spelling mistakes at some point (especially English teachers). What is important is that we know what to do when we get stuck and we know how to correct our mistakes. Having a dictionary on mobile phones and tablets. Drop the final e before a suffix beginning with a vowel (a, e, i, o, u) but not before a suffix beginning with a consonant. Change a final y to i before a suffix, unless the suffix begins with i. (b) the consonant ends an accented syllable or a one-syllable word.